Robotic process automation (RPA) is changing the way financial services operations are carried out on a daily basis. RPA solution providers are working with banks, investment management firms, and insurance companies to make the process of reducing large scale data transcribing work easier. Not only are robots being installed in back office operations of financial services companies, they are even making it into shared services operations, and in some cases, front line customer facing processes. In this article, we’ll review some tips for a seamless RPA implementation process. It’s important to know that the lack of a standardized process will prevent as much as 60 percent of RPA’s potential from being realized. That’s why it’s suggested that you find yourself a partner like The Lab Consulting, one that can both standardize and pilot the solution for you. 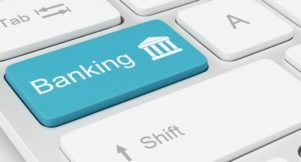 What is robotic process automation in financial services? Robotic process automation in financial services is defined as the use of task level automation software, such as; Automation Anywhere, UiPath, and Blue Prism, to reduce the amount of human effort required to process routine data related and computer work in insurance companies, banks, broker-dealers, and investment management firms. RPA can be applied to a wide range of financial services processes within these businesses – mortgage lending, commercial insurance policy underwriting, and even trade processing. RPA is agnostic to what type of financial services process it gets layered on top of, as long as the work is routine and standardized in nature. Blue Prism is currently the only publicly traded RPA company, but Automation Anywhere just raised $250 million in series-A round funding this month – proving that this is not just a fad that is going to fizzle out. How does robotic process automation in financial services Work? Unlike artificial intelligence, which involves advanced automated decision making, RPA in financial services focuses on administrative and routine processing type work – like simple copying and pasting from an email into a system. Robotic process automation works at the interface or presentation layer, scraping and transcribing data associated with the multiple, simple, and repetitive tasks that comprise a big part of the day of back office staff working in financial services today. Many US banks and insurance companies have already attempted RPA projects—automating more than 800 processes. The gains of robotic process automation in financial services are not without process analysis effort, however. RPA implementation involves getting detailed information about current workflows, so there is significant preparation work and creativity to discover use cases involved. And – not all RPA use cases for financial services are created equally. Some can take a day to implement and yield 5 minutes of work savings, some can take a week to implement and can yield hundreds of hours of savings. You just have to know where to look. Reporting, including client reporting and regulatory reporting. Compliance, including AML/KYC, rule monitoring, and compliance reporting. Accounting and administration, including asset and cash reconciliations, client onboarding and fund setup, and fund accounting/NAV calculation. Securities operations, including securities pricing, vendor management, trade processing, corporate actions, and settlements. Increased convenience and efficiency. Your loan officers, insurance agents, back office staff, and underwriters alike are probably tired of bolted-together, kludgy systems that force them to spend 30 minutes per transaction moving data in between email, Excel sheets and a core system – RPA can reduce this time. Decreased repetitive tasks and error rates. In the past, when a customer would apply for a loan, back office staff had rely on accurate data input from loan officers which resulted in time-consuming and error-prone data moving processes to load data into core systems. RPA bridges these processes and is virtually error-free when moving data at scale. Increased levels of customer satisfaction. Mortgage loan customers usually wait for days to get loan application to be completed – while being asked for the same information multiple times. Then, they have to wait again for the results of the application, often taking weeks—and a lot of unnecessary waiting. RPA can reduce transaction cycle times by 80%. Better use of existing staff resources. RPA lets your staff focus on speaking with more customers, not spending their days copying and pasting information multiple times between Excel, the cloud, and legacy core systems. Decreased costs. RPA is available 24/7/365 to help process consumer loans and new policy creation. Loan and insurance policy transaction costs can drop to a fraction of the cost of an FTE, and RPA can work overnight to process bulk transactions when everyone goes home! No more back logs of work in the morning when you come in to work. 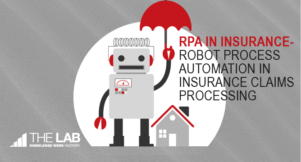 A large global insurer with operations across the world and business in all lines of coverage benefited from RPA as an emerging technology. Before RPA, this insurer had to go through 26 different websites and repeatedly search to make sure that payments against claims were being made-and had to check this on four different dates every month. The end-of-month process that took 4 days before RPA was shortened to under 2 hours post-implementation, saving them thousands of FTE hours per year and eliminating human error. Use cases are used to scope the range that the robot will operate in. They help consultants and management determine how to better prioritize RPA implementation opportunities throughout the organization. The following financial services RPA use case takes us on the journey of a customer who is applying for a bank loan, involving the loan officer, the back-office representative, and the underwriter. The customer fills out a loan application—either a paper or online form—based on the desired loan product. The loan officer takes the application and manually inputs the data into the system, either by entering the data by hand, or repetitively copying and pasting the data from one application to another. This process takes 20 minutes per loan and usually has a 30% error rate in data copying. The applicant approved or not, based on verifiable income. If the applicant is conditionally approved, the loan officer issues a credit approval based on income verification. If the applicant is not approved, the loan officer reviews the applicant’s income statements and earnings information, perhaps asking the applicant for additional data. The loan officer issues and emails a standard conditional approval letter. This process takes 30 minutes per transaction due to email address, loan terms, and next steps being copied from the loan processing system into an email. The back-office loan processor distributes a report to staff based on loan product types and sets up file folders. The back-office loan processor copies the applications and credit data into an Excel file, formats the file, and sends it to underwriting. This process takes 10 minutes per loan – 2500 loans are processed per day by an entire department. The customer fills out the loan application based on the desired loan product. The loan officer opens the application, starts his RPA robot, and it takes the application and puts the data into the core loan system. This process now takes 10 seconds and has a 0% error rate. Underwriting either approves the applicant or not, based on verifiable income. If the applicant is approved, the loan officer issues a credit approval based on income verification. If the applicant is not approved, the loan officer reviews the applicant’s income statements and earnings information. RPA issues and emails a conditional approval letter. This process now takes 20 seconds, down from 30 minutes, per transaction. RPA moves the applications and credit data from the report into an Excel report, formats the file, and sends it to underwriting. This process now takes 1 minute per loans – for 2500 loans per day. A savings of 9 minutes per loan. In this RPA use case example, not all of the steps previously handled by the loan officer, back-office staff, and underwriter, are performed by the RPA bot. Why, you might ask? Because of risk, compliance, and different ROI of each possible use case step. But, the loan is approved in a matter of days, not weeks. And the robot setup only took 3 weeks. The loan officer can focus on serving his or her customers, not making them wait for endless copying and pasting. Implementing RPA in financial services is easier than, say, implementing AI or machine learning, and with more immediate, tangible results. That said, its execution is something that must be done with a bit of planning. Let’s walk through the five basic steps. Since financial services workflows and processes are not equal, your first task in implementing RPA involves selecting a workstream candidate with the highest possible ROI. Choose a manageable process that has high amounts of data being moved between systems manually—because that’s the type that benefits most from RPA. In case you have no standardardized processes in your operations, well, we will tackle that a bit later in this article. Before diving in an installing robots at everyone’s desks you must calculate the current costs that you are incurring for the scope under consideration. You’ll need this baseline cost to make the case for RPA and calculate the total before and after cost savings. Determine your baseline costs by taking the above scope and taking a walk over to HR to get employee cost data. You’ll want to figure out what each employee in the department under RPA consideration costs, loading these salaries with full benefits and any other costs. Robotic process automation in financial services requires a lot of detailed information to make an implementation work, including analysis of the current processes down to the mouse-click level. We here at The Lab Microsoft Visio to map the selected pilot in financial services processes, as you’ll want to represent the processes in scope visually. Make sure to use a stencil like BPMN 2.0 stencil (Business Process Model and Notation) which is the industry standard for automation geeks. Next, it’s time to do some “day in the life” observations of, say, your loan officers, insurance agents, your back-office representatives, or your underwriters—and bring your laptop or notebook along with you. Take very detailed notes of every single mouse-click and every single keystroke of each application. We offer these services and will do these “day in the life” observations for you if you need help. We also use screen-sharing software like WebEx or GoToMeeting, which is less intrusive than doing these observations face to face. Most companies prefer the former, since remote observations via screen-sharing also significantly decreases project costs by reducing the need for on-site consultants. Plan on observing and recording multiple employees over the course of a few days, one at a time. A department-wide level RPA implementation involves observing anywhere between 50 and 500 workers. Robots can’t operate with non-standardized processes. There has to be a clear and standard “assembly line” process to add a robot to. 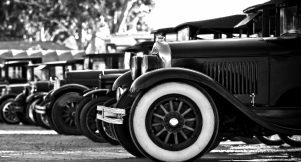 This means that all banking, insurance, or investment management processes need to be standardized – Toyota assembly line style, in advance of your RPA implementation phase. As RPA is being introduced into your workforce, the steps employees complete to carry out their tasks must follow routine and rules based order, and be standardized into one, single process—that’s the key to realizing economies of scale with RPA. Step Five: Have The Lab do it for you…. After your financial services workflows and processes are mapped out and analyzed, you’ll move on to installing the robotic process automation. Each use case is different, but more often than not a robot can be installed within a week once the opportunity and documentation has been buttoned down. We find that most organizations have 40-50 robots that can be installed per process. You can enlist The Lab’s support for any stage of the RPA implementation process. We have a proven, decades-long track record of successful lean analysis, process standardization, and now RPA implementation. Our team at The Lab provides an “a la carte” approach. We start small, with a proof of concept pilot implementation. Only when we’re more familiar with each client, and how your business workflow works, do we ramp up our efforts to maximize results. Contact us and get a head start today.